I'm having a suuuuuper lazy day today (and yesterday, and well, the last 2 weeks or so). I'm almost ready to put away my holiday decorations and start cleaning out the cobwebs of 2012. Almost. Due to my horrible Xmas food poisoning (boooo! ), I didn't get a chance to have one of my favorite holiday treats, eggnog. Now that I'm back up to speed, I can handle those raw eggs like a champ! 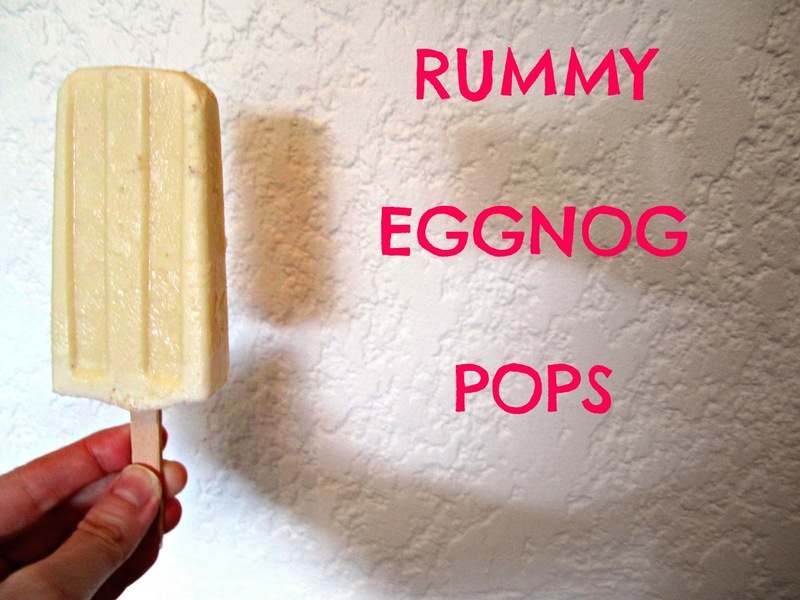 I found this recipe for some eggnog poptails, tropical style. Think eggnog, with a bit of pina colada mixed it. YES! Blend all of these together and pour into ice molds. After about 2 hours, insert sticks and freeze overnight. 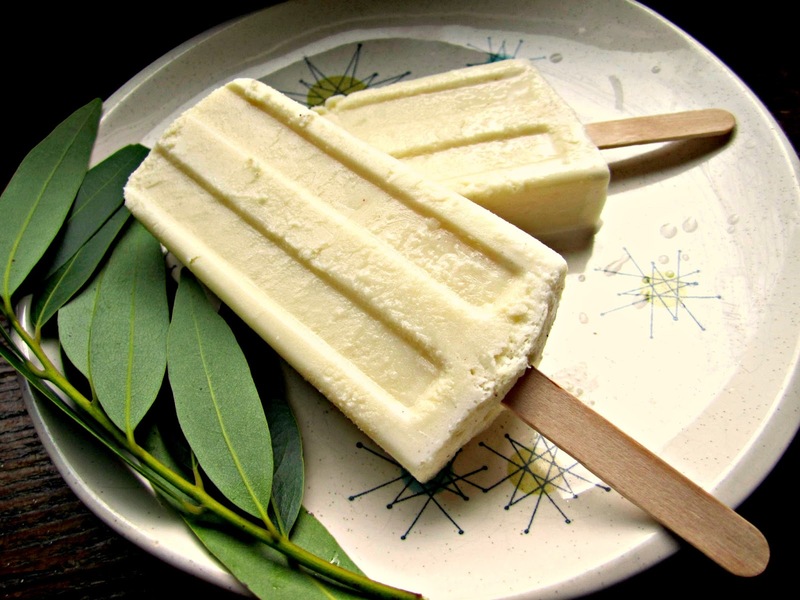 Like eating coconut rummy eggnog ice cream on a stick. Mmm you're making want to try these... and I don't even like eggnog! haha! Oh my gosh. I would probably eat like 10 of these at once and make myself sick! Hi! Just joining the blog hop so I went by to say hello! 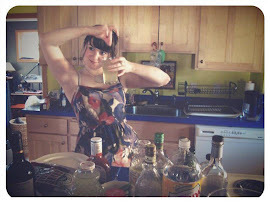 I'm on the blog hop that's how I found you btw. those look so good. the close up shot that shows the texture, is really making me want to make these. also, condensed milk is like my favorite food in the world, haha. I know they ended up like ice cream! Ah, sweetened condensed milk. Like really bad for you honey. ha! That looks delicious, and I'm not normally into tropical drinks. Somehow though it just seems yummier as a dessert and not too intimidating to make. Also hope your stomach goes back to normal soon. BTW found you through the blog hop. Those look amazing! and Happy new year! Your popsicles are amazing! Love it. Hope you're having an amazing weekend! I found you via the blog hop, I hope you're enjoying it as much as I am! I've been so badly missing our families traditional Jameson eggnog this holiday season because I sadly can't drink alcohol for awhile, but this did it. 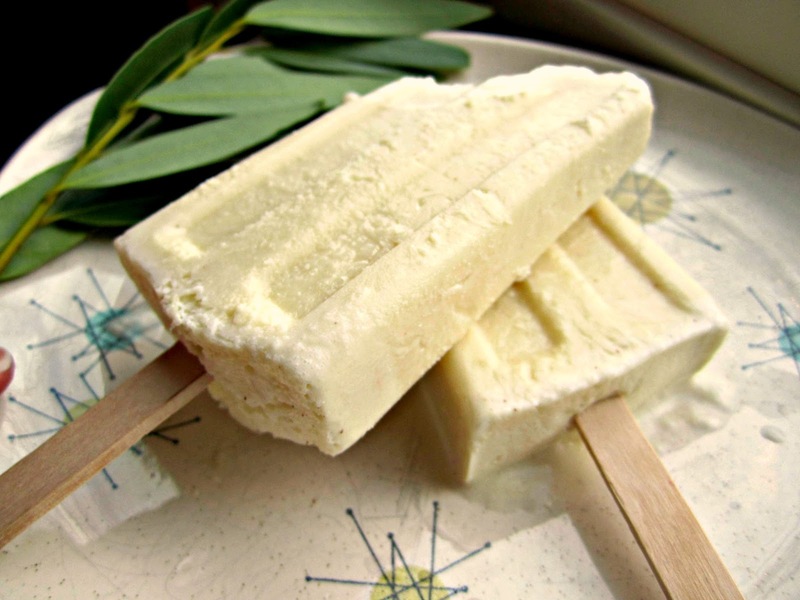 Eggnog flavored popsicles and I can't take it anymore! I'm taking the rum out these and giving it a try anyway. Thanks for the recipe and so glad to have stumbled upon your blog today!